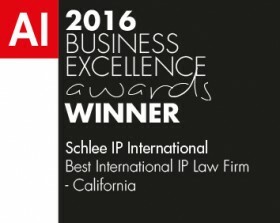 Ownership Transfer of Intellectual Property Rights in General - Schlee IP International, P.C. What are assignments of Intellectual Property Rights? An assignment is the act of transferring ownership of the Intellectual Property Right from the assignor to the assignee. Often, the assignment document is simply referred to as the “assignment”. The two parties can be individuals or legal entities. Intellectual Property Rights typically need to be assigned on a country by country basis complying with the various national assignment requirements. However, international or regional Intellectual Property Right applications often can be assigned centrally before the respective international or regional authorities such as the respective international or regional patent or trademark offices. Examples for such authorities are the International Bureau handling International Patent Applications under the Patent Cooperation Treaty (PCT), the European Patent Office (EPO) handling European Patents and the European Union Intellectual Property Office (EUIPO, formerly named OHIM) handling European Union Trademarks (EUTM) and Registered Community Designs (RCD). What IP rights can be assigned? Most Intellectual Property Rights can be freely assigned in part or in its entirety between any assignor and assignee. Certain partial rights may be assignable separately and independently from the underlying IP right, for instance the priority right determining the time rank of an IP right. What is required for valid assignments of Intellectual Property Rights? 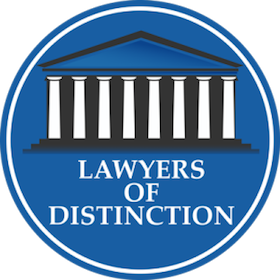 National laws, rules and formalities apply for recordation of country by country assignments by a variety of national, regional or international recording authorities. When looking at a bigger Intellectual Property Rights family, a one fits all assignment fulfilling this wide variety of requirements is virtually impossible. Typically, national representatives should be retained for complying with this variety of requirements. If possible, some international or regional Intellectual Property Rights should be assigned centrally while still pending for avoiding the hassle of dealing with such wide variety of national requirements that may be required after the issue date of the international or regional Intellectual Property Right. What are typical form requirements for assignments? What assignment document content is typically required for assignments? If the assignee likes to exercise certain rights, the assignment must be recorded. A proper assignment and recordation thereof may for instance be required for the assignee = applicant to act in the proceedings before the various authorities. The failure to properly assign and record may also result in enforceability delays of the assigned IP right by the assignee until recordation has been finalized. In some countries, this may cause significant enforceability delays. Also, a proper assignment is required for claiming priority rights. Further, it is helpful for the assignee to become an assignor for yet another assignment after the first assignment is recorded. What is a “nunc pro tunc” assignment? A nunc pro tunc assignment is an assignment executed at a later date but taking effect at an earlier date specified in the nunc pro tunc assignment. In some countries, such nunc pro tunc assignments are recorded, in others no such retroactive effect assignments are recorded. Although it may be possible to overcome some consequences by correcting deficiencies without losing the initial assignment date, or time permitting simply by executing and recording a new assignment, in some cases these remedial measures may come too late. For example, for validly claiming priority rights, the priority right needs to be actually owned by the applicant of the later application within the priority time period. Unless recognizing nunc pro tunc assignments, an assignment after the priority period may come too late. The risk with assignments is that some deficiencies may not be noticed until it is too late to fix the problem. For this reason, assignment formalities should be observed scrupulously.